The release of “New Freezer” looks to be a merge between what could be called two sides of hip hop—the lyrical take Kendrick Lamar and the trap way of Rich the Kid. While they may be coming from different areas of hip hop, it’s been proven before that music has no boundaries. 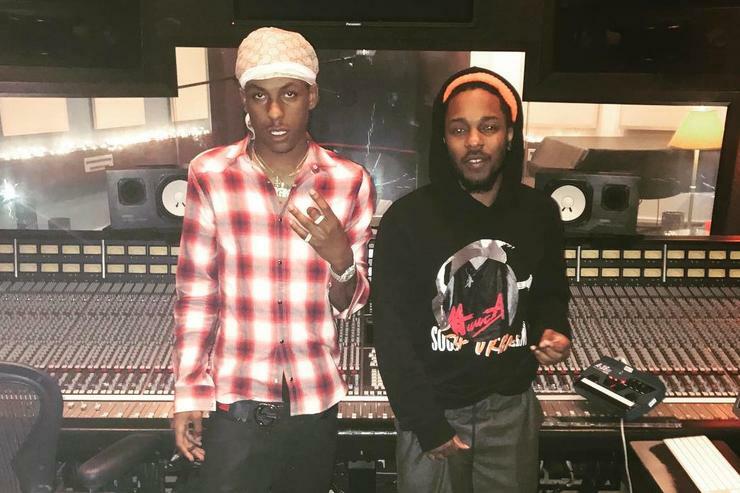 The collab doesn’t come as a surprise as this past January, Rich the Kid—born Dimitri Leslie Roger—posted a now-deleted picture featuring Kendrick Lamar in the studio. The song premiered on Zane Lowe‘s Beats 1 Radio show at noon today after having been announced by Rich and Beats 1 on Twitter. Afterwards, the song was then made available on other streaming services. Lamar has been known to be able to take any beat and run with it and neither he nor Rich disappointed. The beat is by Rhode Island-producer Ben Jayne, who currently stays in New York and has production credit for the likes of MadeInTYO, A$AP Ferg and more. “New Freezer” opens with a Shaolin-style cross between what could be a Pipa or a Guzheng with some extra effects added to it. That could be seen as a tip of the cap to Kendrick’s “Kung-Fu Kenny” moniker, but the track had been produced before Lamar was added. Along with the strings, the hi-hats and 808 riffs Atlanta-based hip hop is becoming better known for also make a statement throughout the track. Rich and Kendrick both wasted no time getting to the track. The feeling Rich brings to his music could give him his own category. In a time when artists are consistently compared to each other, it’s refreshing seeing an artist hold their own, regardless of what people may think about their music. The music can make you feel out of breath, but it’s simply the nature of the song. It’s a consistent stream of music that doesn’t allow you to stop because there’s no time to waste. Lamar, as we’ve seen many times before handles the track well. With a fast-paced delivery and an annunciation style reminiscent of that heard in “ELEMENT.” Both he and Rich deliver an open-faucet flow of lyrics. As for a video? Lamar is co-directing it Rich says. His new project will be full of features as he has recruited some big names for it.